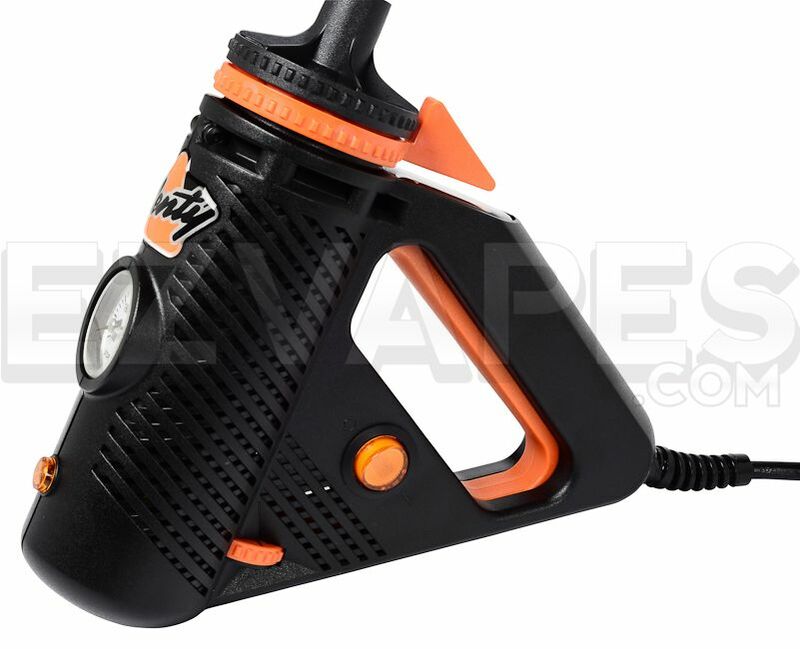 The time has come, vaporizer powerhouses Storz & Bickel, creators of the hugely popular Volcano vaporizer, have released their newest vape called the Plenty Vaporizer. 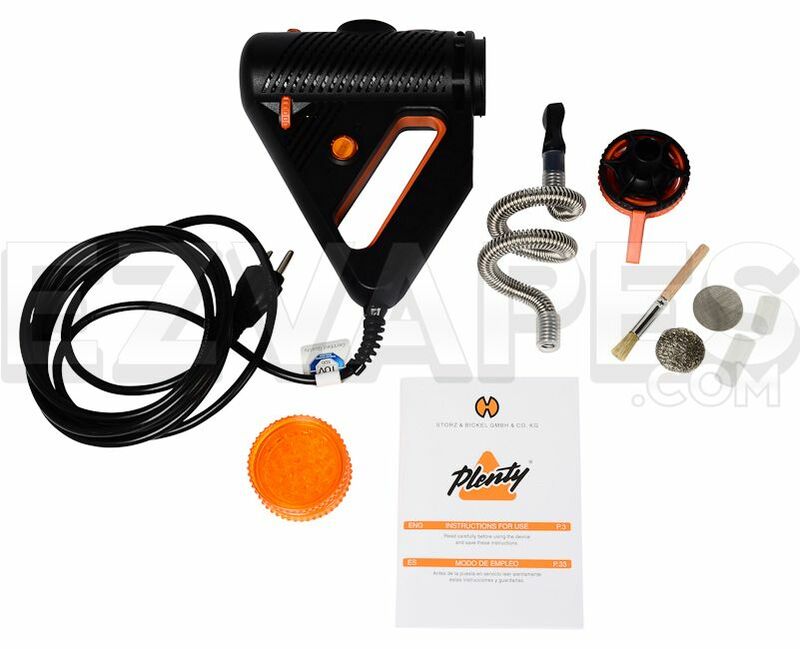 The Plenty Vaporizer uses a double helix heat exchanger that not only heats up extremely fast, but also evenly vaporizes your material maximizing what you get out of even the smallest amount of material. 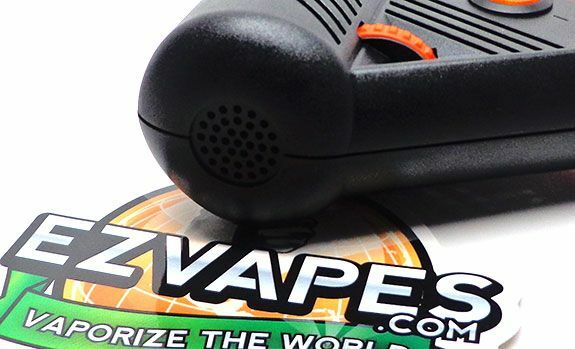 The Plenty Vape is hand held, although not portable, and features silent operation and a very lightweight yet extremely durable design. 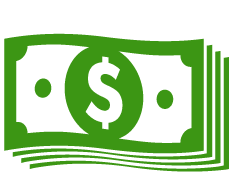 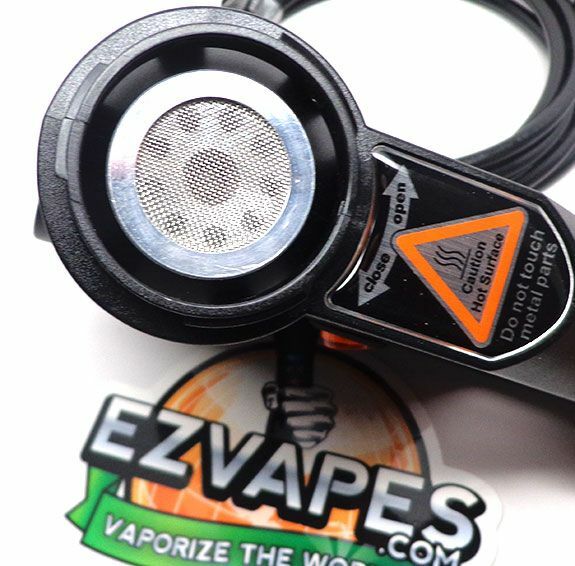 The temperature gauge on the front of the Plenty is both accurate and extremely convenient without being digital, keeping the Plenty Vaporizer reasonably priced but just as easy to use as other digital vaporizers. 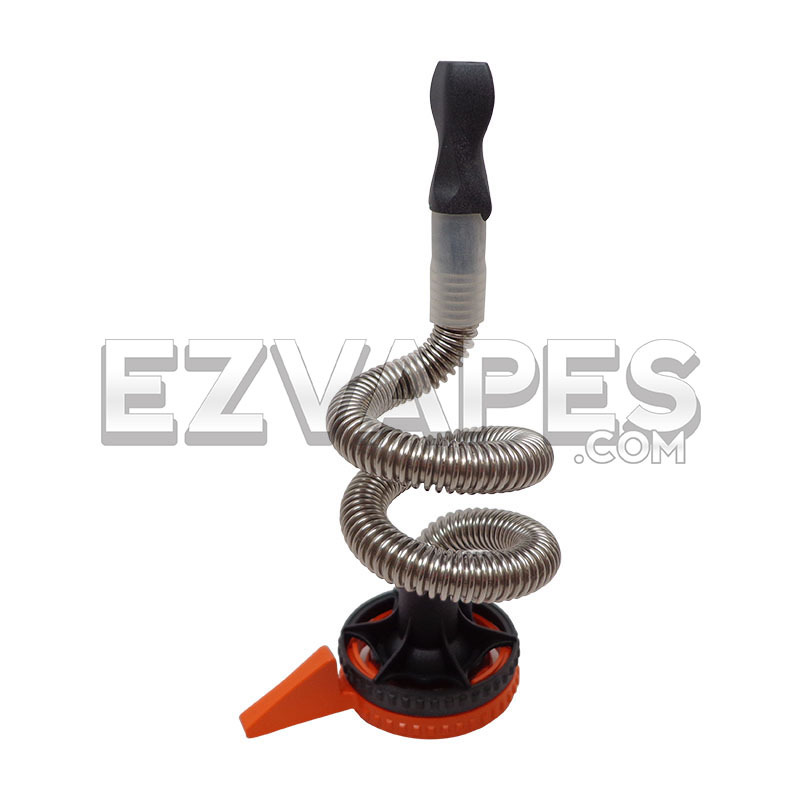 The coil that wraps around the whip tubing actually acts as a heat sink to stop your vapor from being overly hot. 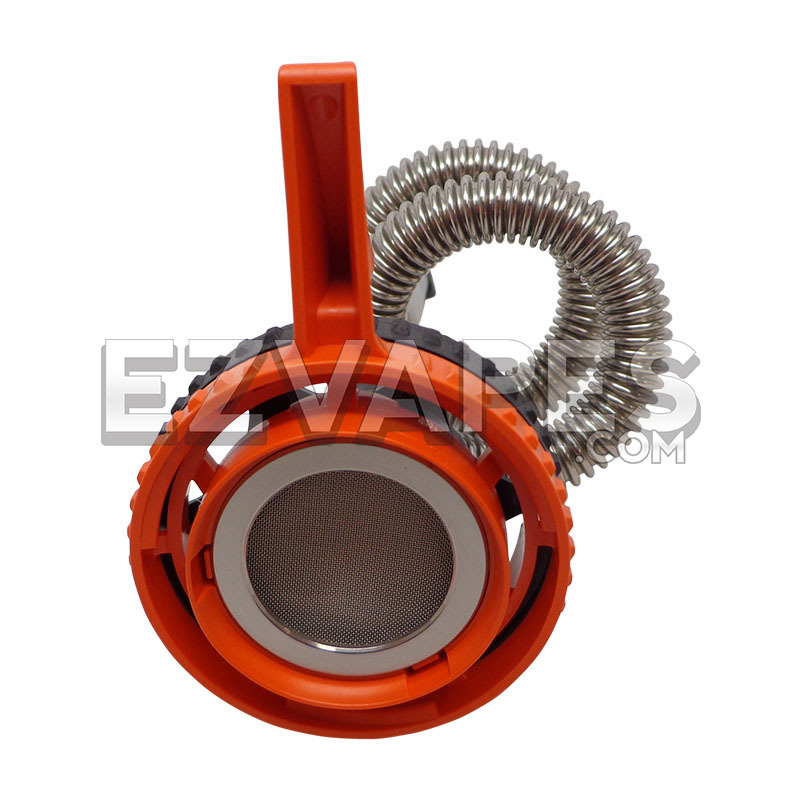 The vapor will cool as it travels through the whip tubing, delivering an extremely smooth and cool vapor. 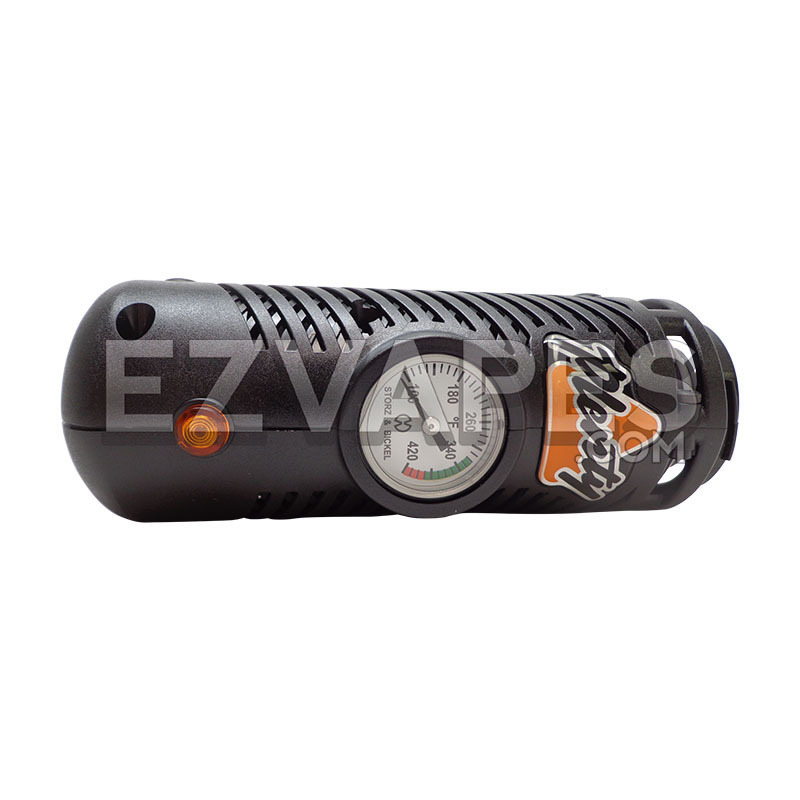 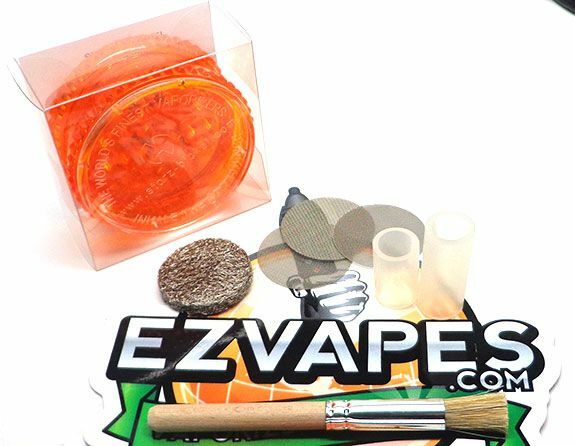 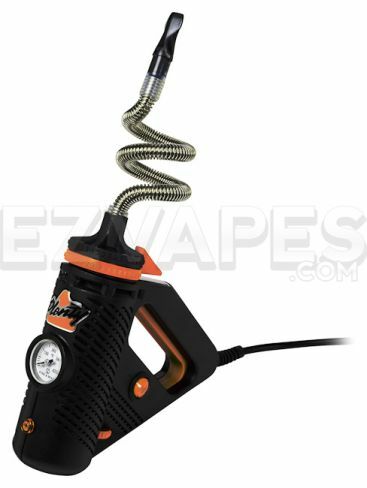 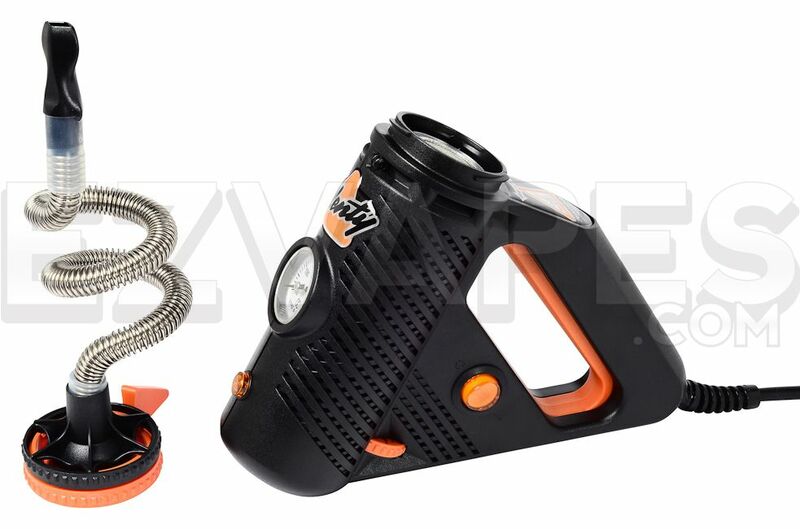 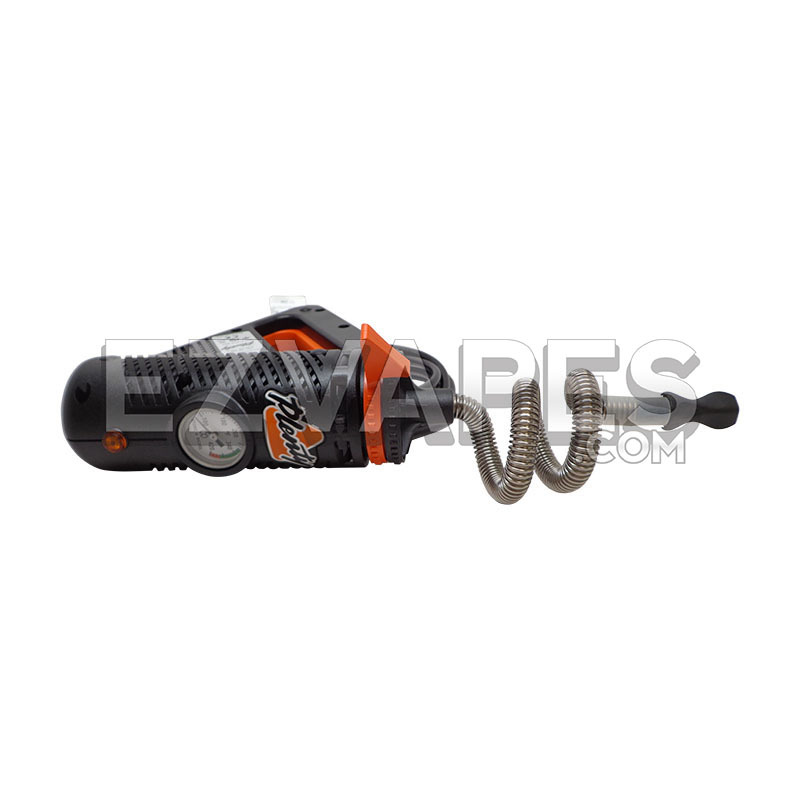 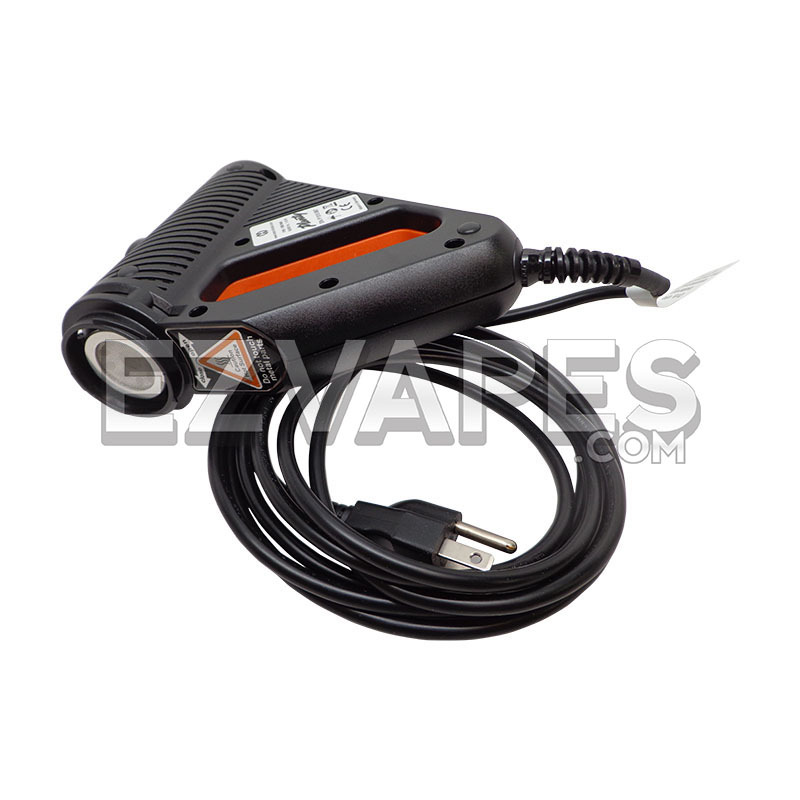 This is Storz & Bickel's very first whip vaporizer and judging from their only other vaporizer, the Volcano vaporizer, you can expect a top of the line product when you buy the Plenty Vaporizer. 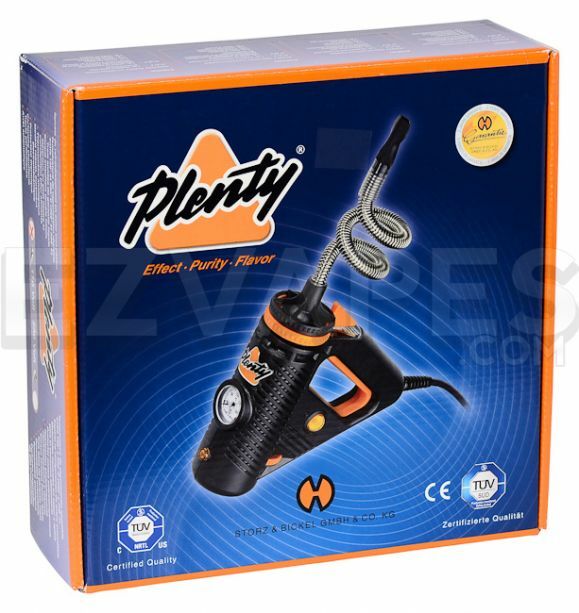 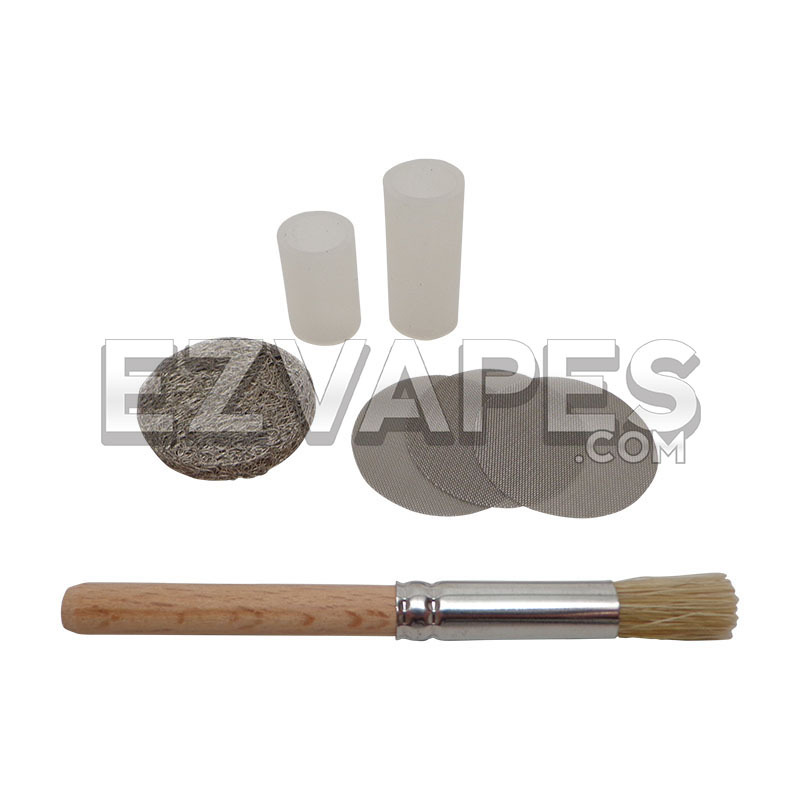 The Plenty Vaporizer has a solid polycarbonate build with stainless steel cooling coil. 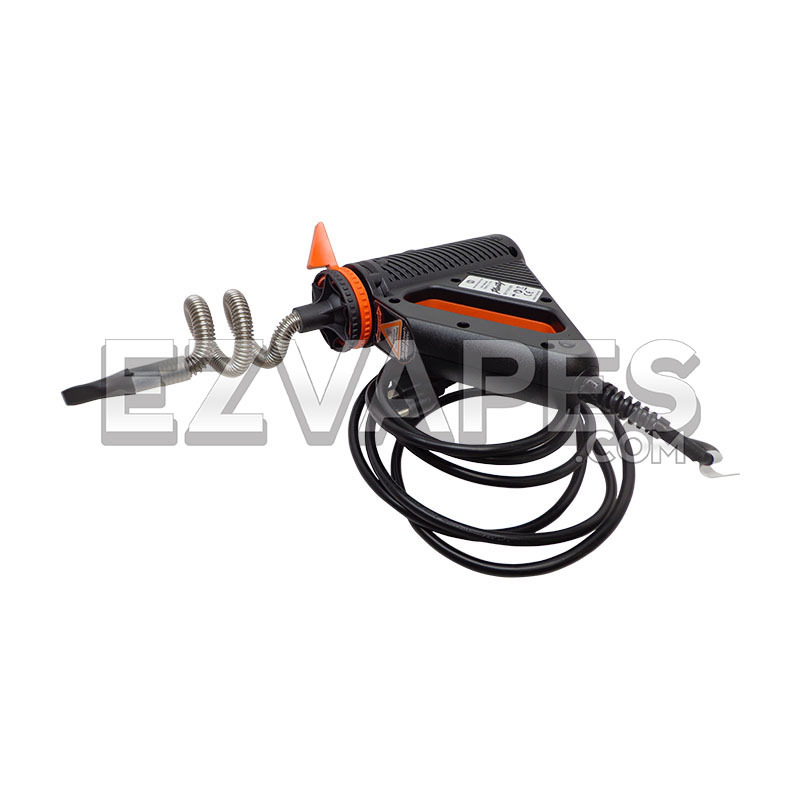 3 year warranty restricted to normal use.